I come from Virginia, and apples are big news in the fall in the state of Virginia. We have apple festivals, heirloom apples and apples just about everywhere. So it comes as no surprise that I am a big fan of apples. I use apple computers and ipads, make apples pies, and fritters. Guess you could say that I am a regular old Johnny Appleseed! 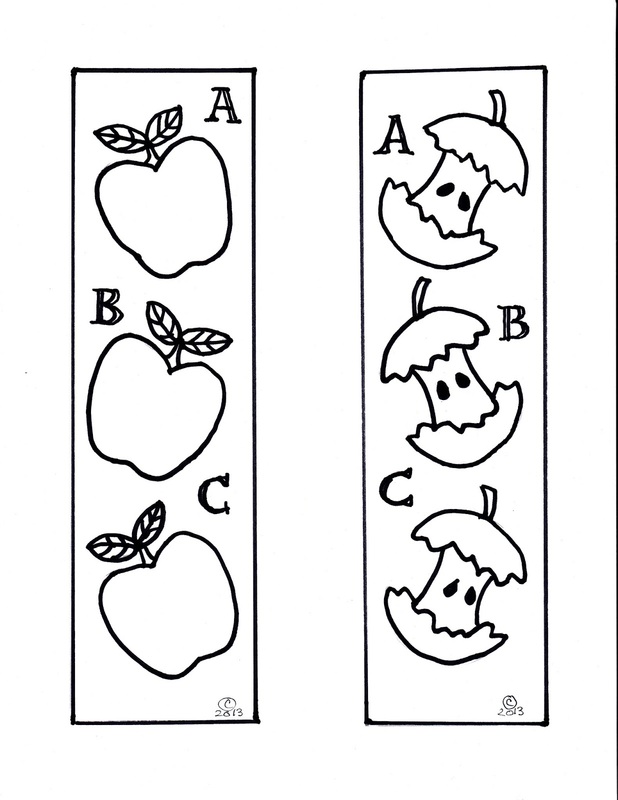 Since school will be open soon, why not print up some free apple bookmarks for the kids to color and use? 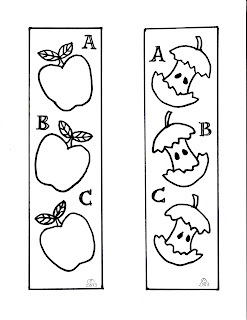 Full instructions on protecting your bookmark after coloring can be found right here. 2. Color and personalize with crayons or colored pencils, let your creativity run wild! 3. Follow the instructions to cover with clear contact paper to protect your bookmarks, cut out and enjoy! Love the apples! I can't believe it is almost time for Fall. GREAT printables! My daughter will love these! Thanks for linking up my Friday Flash Blog on The Jenny Evolution. I'm back from vacation in central Colorado and ready for a great party this week. See you there! Super cute! I am tweeting & sharing on my Pinterest Freebie page. Thanks for sharing at the party! Giving your project a shout out on Friday too! Beaded hair tie-- or is it a bracelet?